Guests will choose from five informative morning sessions to dig deeper into our famed history and the role or our terroir: the people, the place and the wines. Join renowned wine writer Virginie Boone of Wine Enthusiast Magazine as moderator for an exciting conversation on winemaking in our legendary AVA. We have gathered a star winemaking panel for a thought-provoking, insightful, and fun morning to learn about winemaking adventures and secrets of capturing the SLD Terroir. These celebrated winemakers — Chris Tynan of Cliff Lede Vineyards, Celia Welch of Lindstrom Vineyards, Jeff Owens of Odette Estate Winery and Elizabeth Vianna of Chimney Rock Winery — will share decades of experience and stories as you taste outstanding examples of their wines that illustrate their explorations in winemaking and nuances in style, meso-climates within the district, and common threads of the wines from our famous little neighborhood. You won't want to miss this one! Karen MacNeil, wine educator and author of The Wine Bible, will moderate a conversation between Winemaker Michael Beaulac, Director of Viticulture Gustavo Aviña, and geologist Ed Bortugno. The group will lead guests on a tasting tour through Napa Valley, one of the most diverse winegrowing regions in the world. 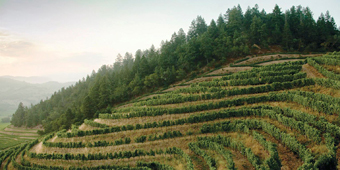 Pine Ridge Vineyards, founded in 1978, owns 160 acres covering ten estate vineyards from Carneros to Howell Mountain. Four of these estates, comprised of 47 acres, are in Stags Leap District. It is here guests will dive deeply into Napa Valley's diversity with a tasting across five appellations through the lens of Cabernet Sauvignon. In this intimate seminar environment, you will explore the geology, climate, and soils of the most prestigious appellations for growing Cabernet Sauvignon. Bring your palate and discover for yourself if a single region does indeed have a signature profile. One of the fiercest Wild Fires in Northern California ripped through the Napa Valley in October of 2017, and that is just scratching the surface! A year and a half later, walk amongst our vineyards and experience a deeper look at the land and what lies beneath. Meet vintners, fire heroes (as we like to call them), winemakers, vineyard managers and soil experts and hear, firsthand, what makes Regusci and the Stags Leap District so special and unique. Let’s dig deeper and glance below the surface while enjoying delicious Regusci past and present vintages grown in the vineyards we'll explore. We invite you to join our family and learn more about this precious place we call home! Stag's Leap Wine Cellars looks forward to welcoming you for a deep dive into the history of the Stags Leap District and the FAY Vineyard, where the story of Stag's Leap Wine Cellars began. 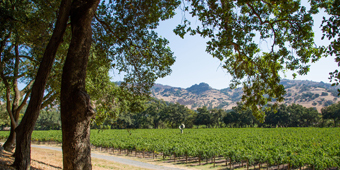 Established by pioneering grape grower Nathan Fay in 1961, it was the first planting of Cabernet Sauvignon in what is now the Stags Leap District. At the time, conventional wisdom maintained that the area was too cool for Cabernet Sauvignon. But tasting Nathan Fay's homemade Cabernet in 1969 was a defining moment for the founder of Stag's Leap Wine Cellars. Here was land capable of producing a wine that could rival the best in the world. Guests will join Vineyard Manager Kirk Grace & Viticulturist Tim Rowe for a vineyard walk to see what makes the FAY Vineyard so special. After the walk, guests will head to the FAY Outlook & Visitor Center to taste a selection of library vintages of FAY Cabernet Sauvignon on the new North Patio, with sweeping views of the FAY Vineyard. Throughout the event, guests will get a deeper understanding of the Stags Leap District and FAY Vineyard and the incredible wines being produced. Leap back to the early years before the region was formally designated Stags Leap District. Explore three founding families beginnings in this iconic appellation as each shares first-hand accounts of their early beginnings and of planting roots here in Stags Leap District. With the sun rising just over the eastern Vaca Mountains, the morning will start at the base of the famed Stags Leap Palisades at Steltzner Vineyards' poolside property. Guests will take in a morning stroll, explore old vine plantings, access the lay of the land in the heart of the District and discover what makes the terroir so unique. You'll dive even deeper at a sit down tasting of the wines crafted here from past library treasures pulled from deep in our vintners' personal cellars to our future ahead as we celebrate this 30th milestone.